Winterville Mounds was an important Native American political and religious center during the Mississippi Period (ca. AD 1200-1600). First recorded in the mid-19th century, the site has a long history of professional archaeological work. 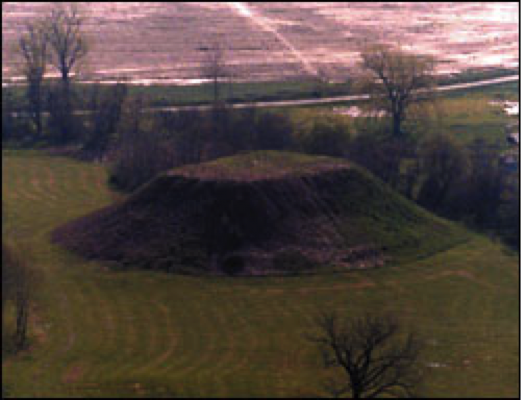 The first excavations took place in 1907, when Clarence B. Moore placed test units in fifteen of the mounds as well as in off-mound areas of the site. Many of these early excavations uncovered architectural remains and artifacts associated with domestic habitations. Modern excavations of the site began in the 1960s and continue into the present day. 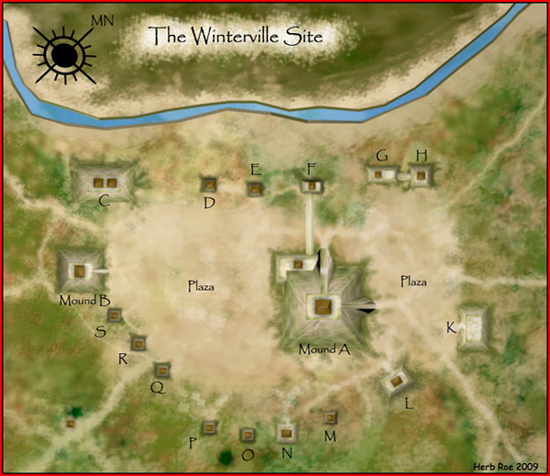 Winterville originally had more than 20 mounds. Mound A, the central feature of the site, is a large rectangular platform mound about 55 feet in height. 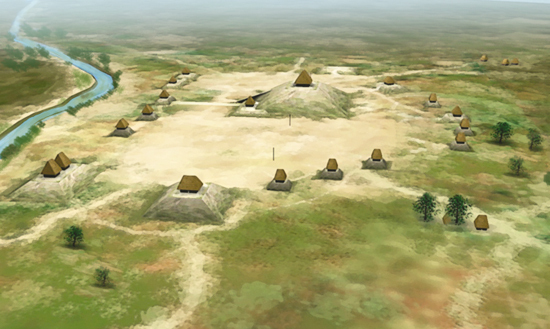 Mound A is flanked by large open plazas to the northeast and southwest and has a ramp extending towards the northwest. A ring of boundary mounds surrounds the entire plaza area. Professional archaeologists have determined that the mounds were built during the Mississippi Period, between about AD 1200 and 1450, but the site was originally occupied during the Coles Creek Period, beginning around AD 1000. Many of the mounds at Winterville had architecture on their summits. Recent archaeological excavations in Mound B have revealed a series of burned structures stacked one on top of the next. This repeated ritual burning and rebuilding of mound summit structures is also documented elsewhere in the Mississippian world. The nature of the architecture and the fact that Mound B also contains burials suggests that this mound may have had a religious function. Mound C also has a series of structures associated with its summit. The architecture and associated artifacts indicate that these buildings were residential, probably the homes of important Native American political or religious leaders. 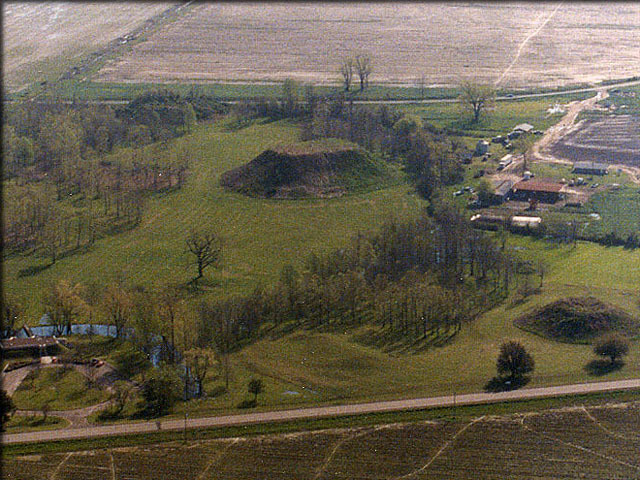 Summit architecture has also been documented on Mound K and likely was associated with other mounds as well. Winterville Mounds is now maintained by the Mississippi Dept. of Archives and History, and visitors are welcome to walk among the mounds and to visit the on-site museum, which displays a large collection of artifacts found at the site. In recognition of its outstanding cultural and historical significance, Winterville Mounds has been designated a National Historical Landmark by the United States Department of the Interior.